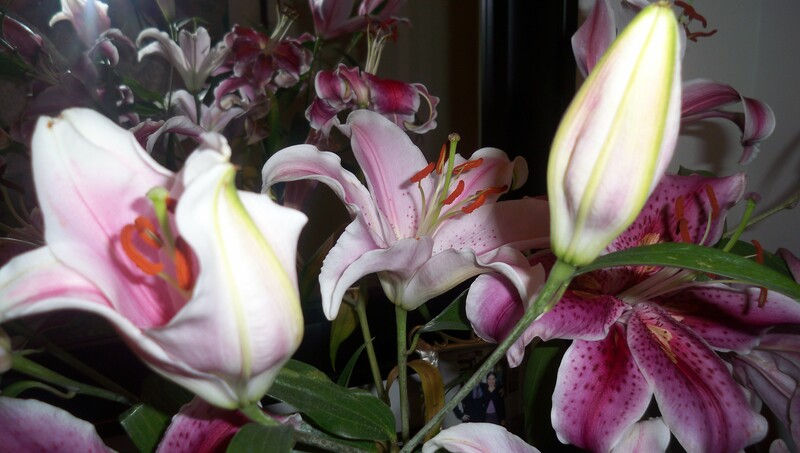 These lilies were gorgeous! We bought them completely closed and then they opened up beautifully and were magnificent for many days. 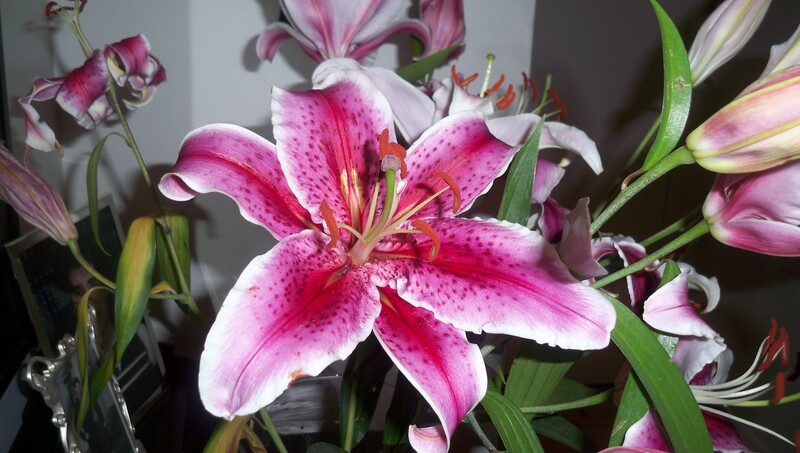 Did you know that only the pink and white lilies smell? The yellow and orange ones don’t have the distinct lily smell. Fun fact of the day!! I never knew that about the fragrance!